Our new record is still getting mixed. But last week we did something kinda special and unique. We gathered together a brass band with a total of 10 musicians in a non-descript rehearsal space in North Hollywood for a party the next night. I surreptitiously pressed record and we started playing. We hadn't said much more than "hello." Here's one of the tunes from that night. 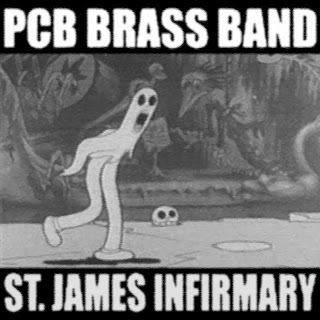 Donwload &/or listen to "St. James Infirmary" here. New Year's Eve tickets here.